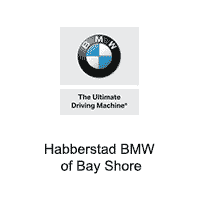 Habberstad BMW of Bay Shore welcomes BMW owners to our performance parts selection featuring both M Performance Parts and Dinan parts. Car enthusiasts rejoice, Habberstad BMW of Bay Shore is the perfect place to customize your Ultimate Driving machine with parts generating unbelievable levels of performance. We are the only Dinan Pro Dealer from Mid-town Manhattan to Montauk, New York, priding ourselves on this prestigious classification. As a Dinan Pro Dealer, we go above and beyond standard dealers and also utilize Dinan demonstration vehicles on-site or sell pre-built Dinan cars. When visiting Habberstad BMW of Bay Shore’s parts department, you can ensure that your BMW will receive the highest level of service. Our service advisors are dedicated and passionate with an expansive knowledge of performance parts options to assist you in choosing the right accessories for your BMW. Your BMW will be worked on by professional factory trained technicians for both M-Performance and Dinan Performance.